Automechanika Frankfurt is the most important trade fair for the automotive aftermarket and has been organized by Messe Frankfurt since 1971. Most recently, around 133,000 trade visitors came from 170 countries. For the first time around 5,000 exhibitors will be presenting their new products in 2018 . The fair takes place every two years alternating with the IAA and celebrates its 25th edition in 2018. 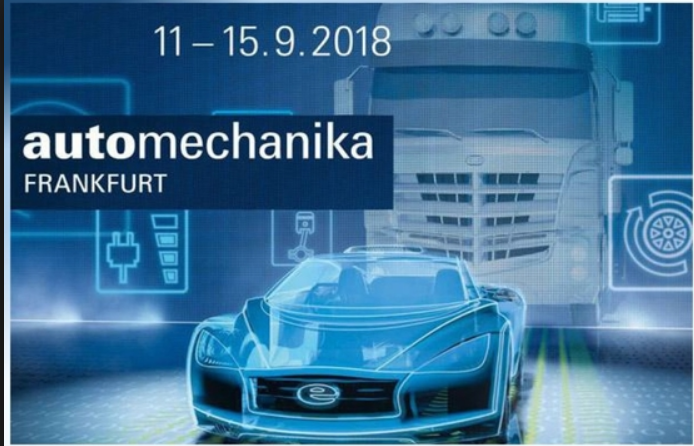 For the anniversary from 11 to 15 September 2018 , the Automechanika Frankfurt will be expanded to include new topics such as Classic Cars, or the REIFEN, which will take place for the first time as a co-located show in the new Exhibition Hall 12. It's from September 11th to 15th . A lot of automotive company are here on on the show . We are here to meet you with silicone auto parts , automotive sealing ring ,customized high quality silicone automotive parts and rubber parts . Looking forward to see you there !